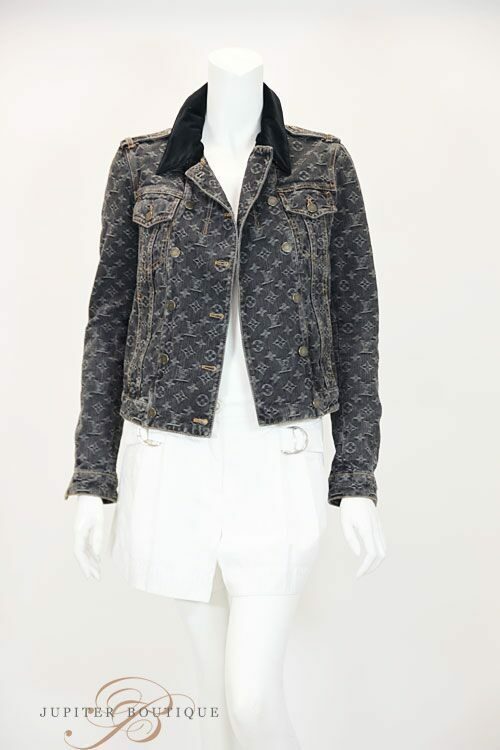 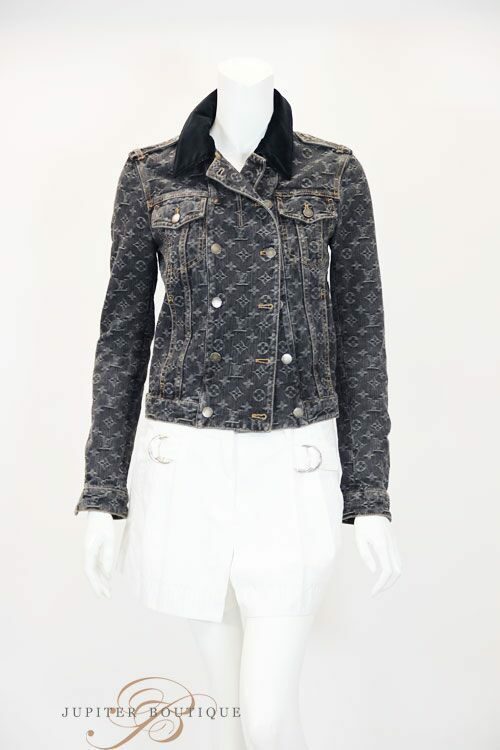 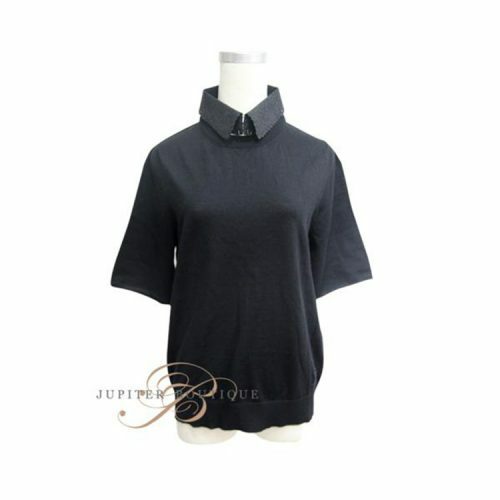 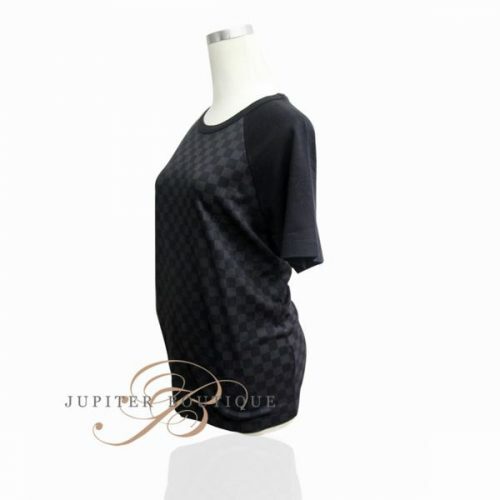 Louis Vuitton authentic navy cotton/cashmere top featuring a V-neckline,three quarter sleeves, a stretch slim belt, and elegant trim at back. 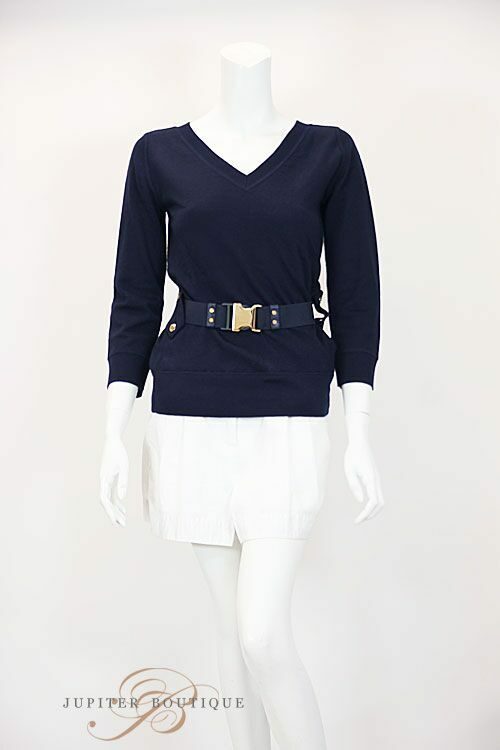 White short pants is be found sold separately in our store. 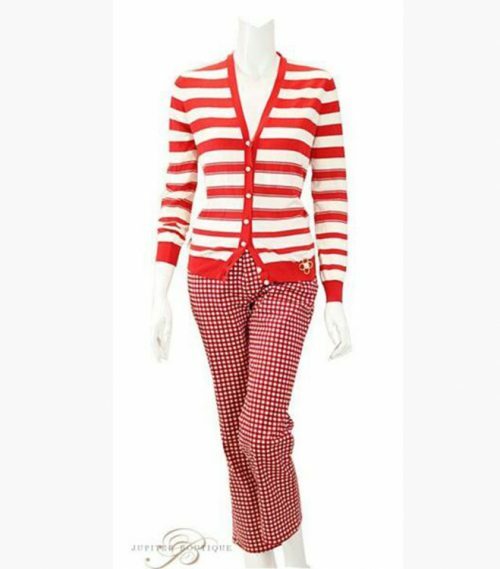 Louis Vuitton cotton 100% white and red stripe design cardigan featuring long sleeves, a gold-tone floral accessary at bottom,and white peal button closure at front. 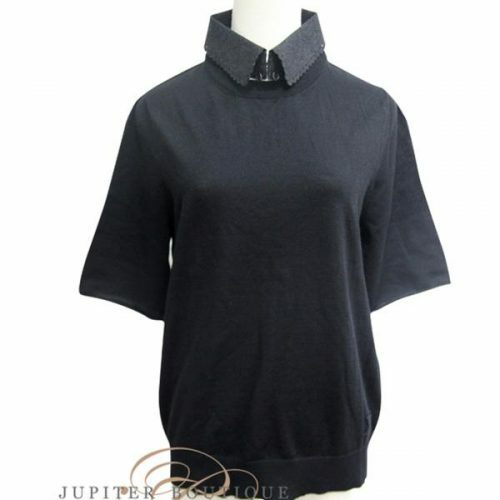 Very relaxed and feminine style. 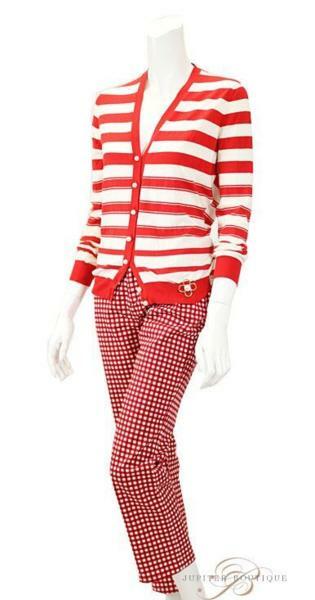 Red and white check pants is Not Included. 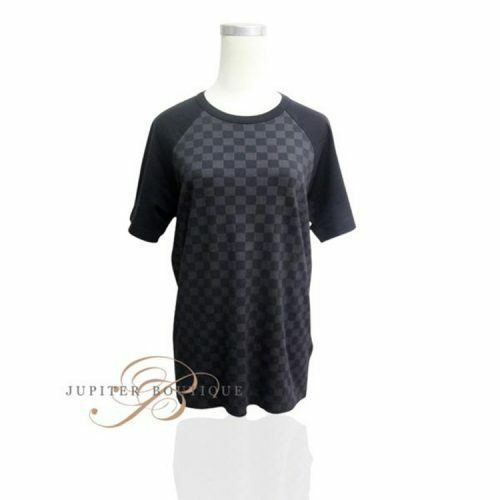 yet be found sold separately in our store.